If you have questions contact Lion Dan Wolfe dwolfe9760@aol.com, 608-457-2365. Would you like to hold a Fishability Day in your area? Let’s discuss how to make this happen. Thanks for all that you do as a Lion! 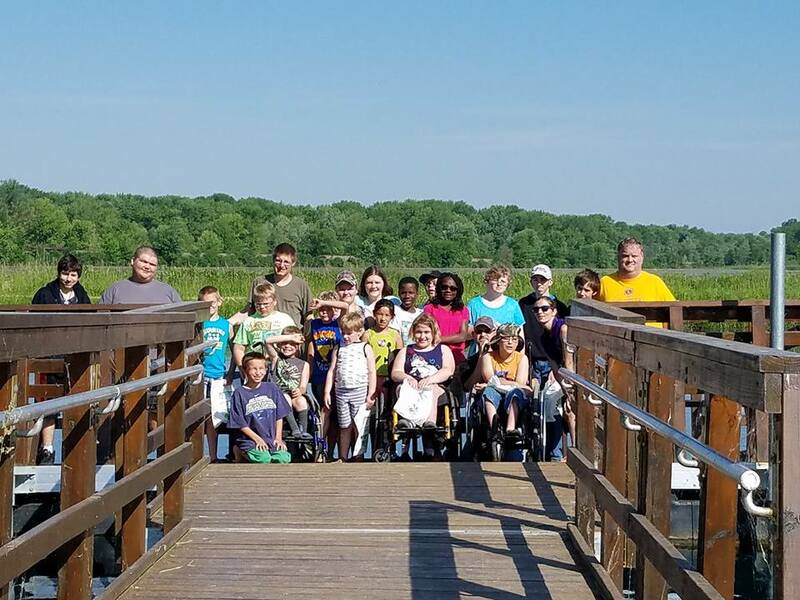 District 27-D2 will be hosting a Fishability Day for special needs students on June 8, 2019. Lion Dan Wolfe is Chairman of the planning committee. 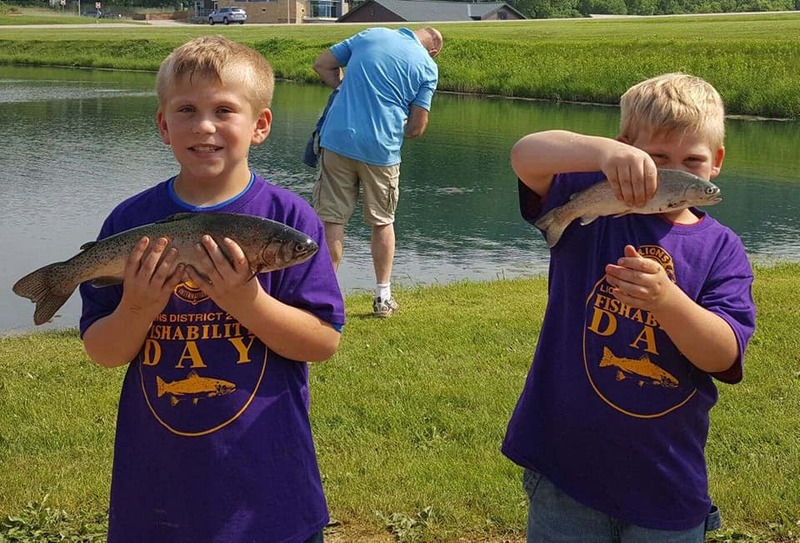 The Fishability Day is not to be confused with a “Tournament”. This will be a day where the emphasis will be on fun! The event will start at 9:00 A.M. with a brief ceremony and comments by District Lion Officers and Fish Hatchery personnel. 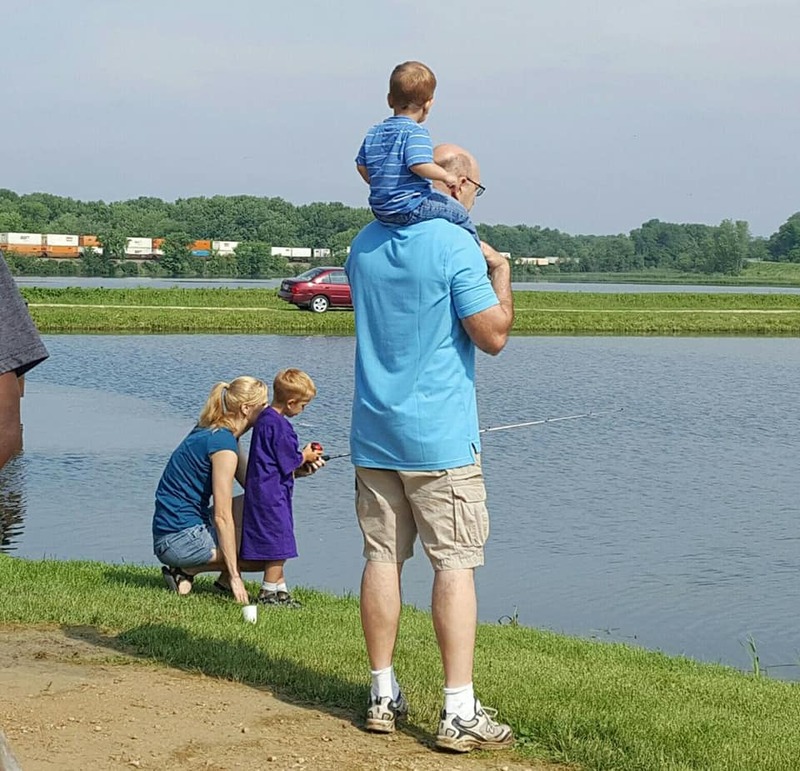 Fishing will then be done around one of the ponds at the Fish Hatchery. There are handicapped accessible docks for wheelchairs. After fishing there will be a light lunch for all. Each participant will receive a free commemorative hat and a medal or other small memento of the occasion. 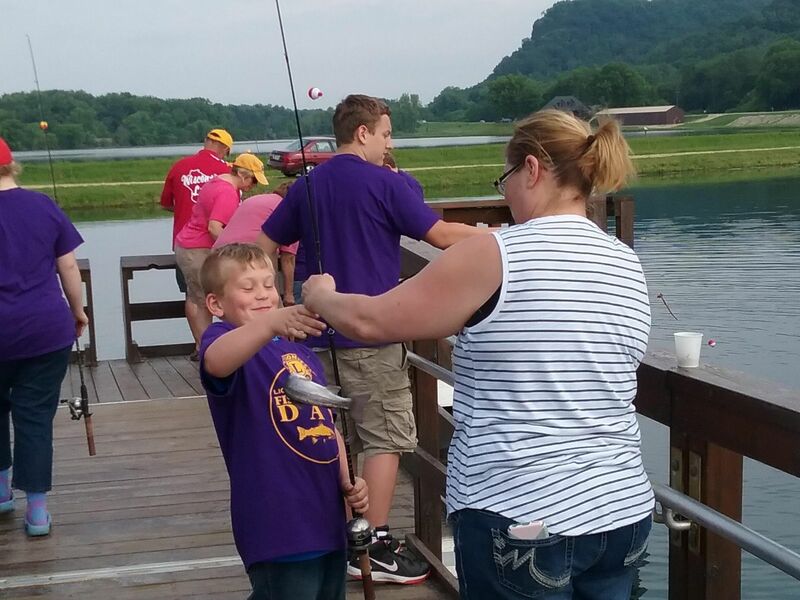 In order to avoid any contamination of the trout pond, participants should NOT bring their own fishing gear or bait. There will be at least two and possibly three trout of good size available for each participant. Lion members are needed to be one-on-one with each participant for safety reasons and to help with whatever is needed. We need volunteer Lion members to help with parking, assisting participants, cleaning/icing fish, serving food etc. The committee is asking each club to sign-up a student or two (K-12) with special needs to participate in this fun day. Your club should arrange with parents or guardians for transportation to the Hatchery at Genoa. Parents or guardians MUST attend. Due to a limited amount of space and fish, the participation will be limited to thirty (30) determined by the registration dates. If the club has difficulty in locating an eligible student, it is suggested that you might contact local school personnel for recommendations. All clubs should make members aware of the event, look for individuals that would make good participants, and see if any Lions would like to help with the event. Similar to last year, we’re asking that each club make a $25 donation to the event and this can be mailed to CT PDG Jim Olson. 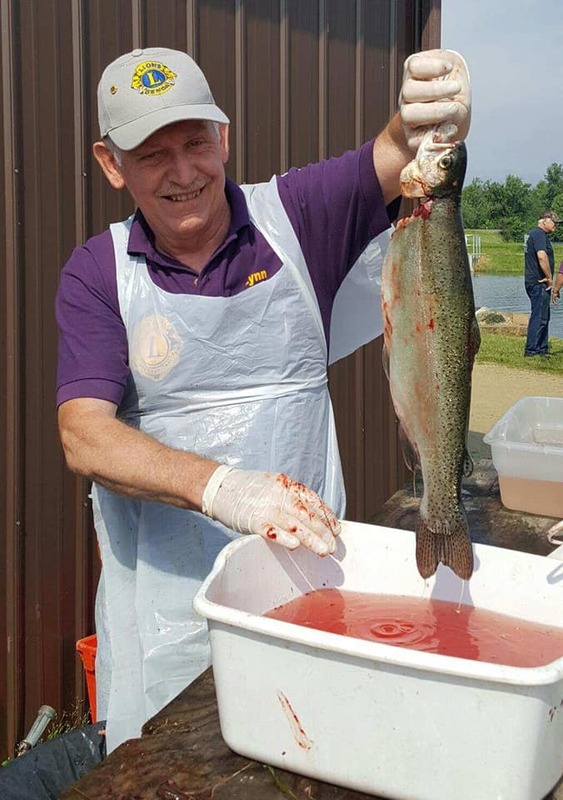 MAKE CHECKS TO: “LIONS DISTRICT 27-D2,” memo: Fishability Day, to CT PDG Jim Olson, 913 Oak Avenue North, Onalaska, Wisconsin 54650. 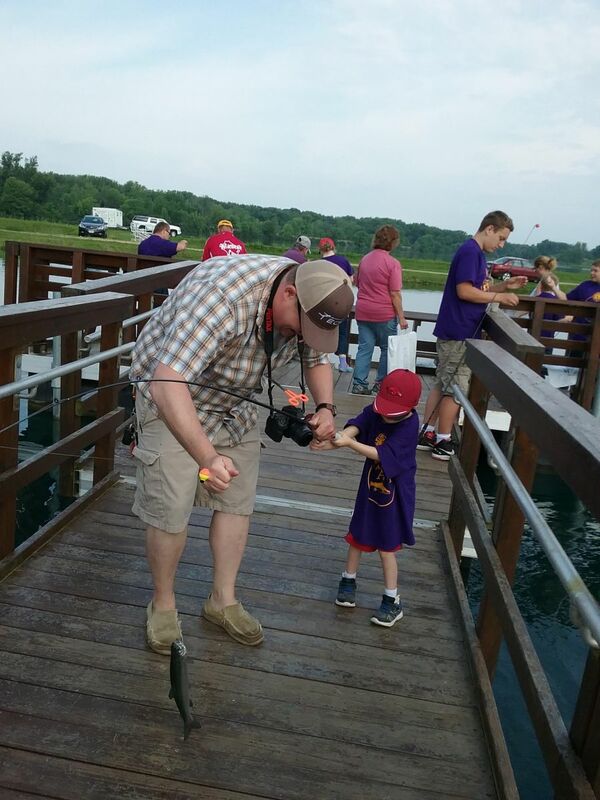 Along with 23 Lions are 3 Fish Hatchery employees who donated their Saturday June 9, 2018 for the kids who attended. One Lions member not present was West Salem Lion Marvel Greene who has been there since the begining. We're sure she watched with a smile from up above. We lost her this spring. Thank you to all who were able to show up and help out with this great event! 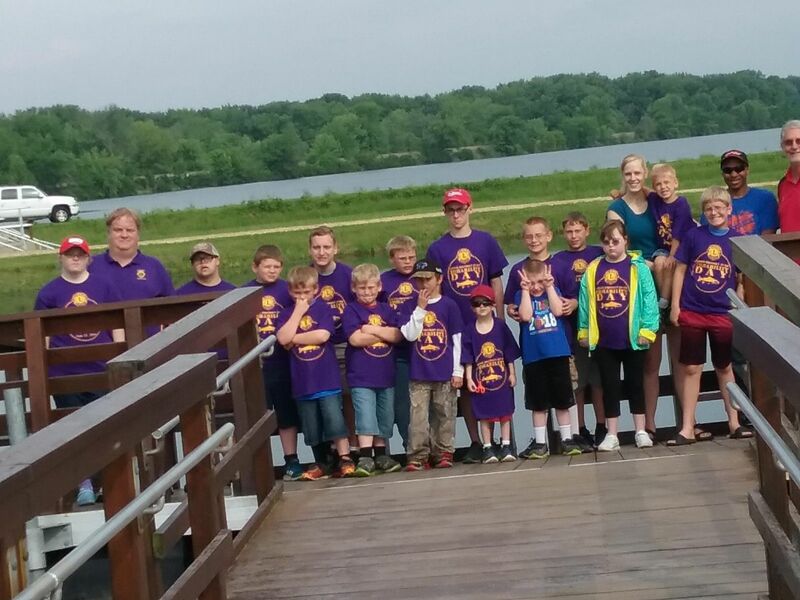 2018 6th Annual Lions Fishability Day - Some of the children who participated posed nicely on the dock at Genoa Fish Hatchery on June 9, 2018. What a great group!